​Membership is $10 USD per year, and entitles you (and another person living in the same address) to receive our monthly meeting newsletter 'Bells & Slippers' and be voting, full-fledged members of our society. Our meetings run from 1PM-4PM, 1st Sunday of the month from October thru June. We hold a Holiday Party Potluck with a plant-related Yankee Gift Swap in December. In June, we have a Potluck Picnic instead of our usual meeting. Our Annual Plant Show and Sale takes place in September. Depending on our society's interest and number of volunteers available to help out, some years we participate in the week long Boston Flower Show, held in March, or sell plants at the one day, Elm Bank Plant Sale in May, in Wellesley, MA. 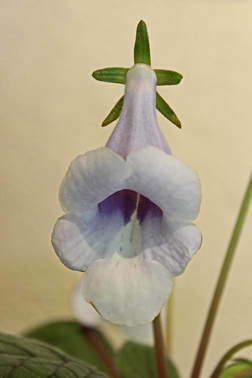 We hosted the Annual Gesneriad Society Convention that took place in 2018.